Learn how to incorporate flavor into your home cooking with herbs and spices. Receive samples of Macadamia Pine Nut Cheese, Everyday Meat Spice/Rub, and Homemade Mayonnaise. 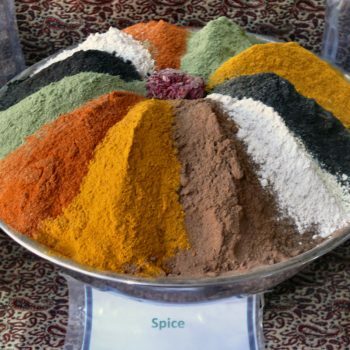 Make a spice blend to take home too! Tanya is a Merchandise Coordinator at Menomonie Market and has over 15 years of culinary and teaching experience.